Despite overthrowing Richard III in battle, Henry’s claim to the throne was weak, and he was surrounded by pretenders to the throne. Henry’s first action was to declare himself King, and to state that his reign began before the Battle of Bosworth field. This meant that all challenges to his supremacy since then – including that of Richard III, were to be counted as treason. In order to secure his position internationally he made a treaty with France, and recognised the new county of Spain in arranging for his son Arthur Tudor to marry Catherine of Aragon. Arthur died in an epidemic in 1502, and Henry’s wife, Elizabeth of York, died a year later in childbirth. Henry tried to maintain the relationship between England and Spain by obtaining a Papal dispensation for his son, who would become Henry VIII, to marry Catherine in Arthur’s place. It was not normally permitted for a man to marry his brother’s widow. People said that the blow of losing his son and wife in quick succession led Henry to die of a broken heart. Henry VIII became king as the only surviving male heir of Henry VII, despite being one of six siblings. Henry VIII was married to Catherine of Aragon at only 17 years old. Henry married Catherine on 11 June 1509, and on 24 June 1509, the two were crowned at Westminster Abbey. By today’s standards this seems very young – both for marriage and kingship, however only two days after his coronation, Henry had two of his father’s ministers arrested on groundless charges of high treason and executed. This was to become Henry’s primary tactic for dealing with those who stood in his way. 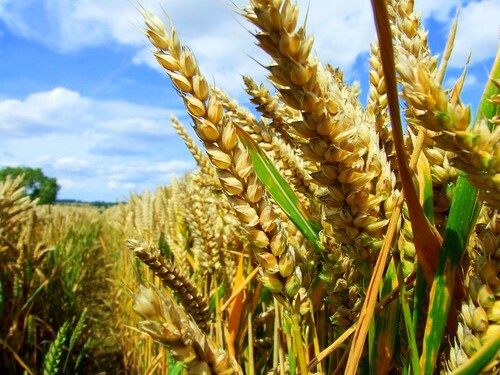 It is sometimes very difficult to unravel human behaviour in our everyday lives let alone in the lives of those who lived hundreds of years ago; to work out why someone develops a particular character. It seems that from the very outset Henry VIII was a ruthless monarch; but set against the background of relentless wars, rivalry, plots, threats from within and from overseas powers it seems difficult to see how this could have been otherwise? There has been some discussion on the blog about Henry VIII’s ruthlessness in his desire to obtain a male heir to the throne. We decided to try to trace Henry’s history back to his father to see if the story of Henry VII’s rise to power might shed some light on the man Henry VIII came to be. 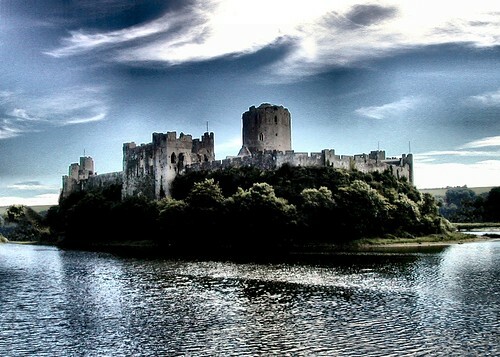 Henry Tudor, as he was known, before becoming King Henry VII, was born at Pembroke Castle in Wales. He was the only son of a widow, Margaret Beaufort. Margaret was the great-granddaughter of John of Gaunt, first Duke of Lancaster, and his mistress Katherine Sywnford. Katherine eventually became third wife to John of Gaunt in 1396, and their children were made legitimate by papal decree, however their descendants were to be forever barred from taking the throne. John of Gaunt’s legitimate heirs included Henry IV, Henry V and Henry VI – however Henry VII came to the throne by a more complex route. 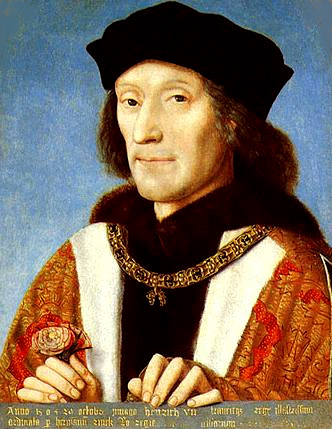 Henry VII’s rise to power is set against a background of strife between the Houses of Lancaster and York. Henry usurped the crown on 22nd August 1485 after the Battle of Bosworth Field, which marked the culmination of the War of the Roses, the demise of the House of York and the end of the Plantagenet Dynasty. 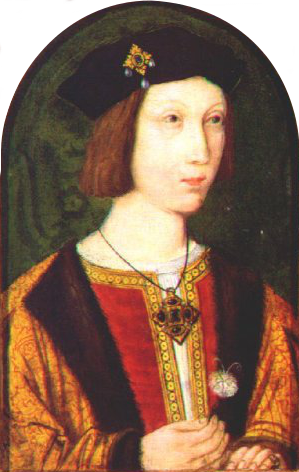 Henry Tudor was a Lancastrian, and had been hurried away to Brittany when the Yorkist Edward IV returned to the throne following an overthrow of his rule. Following the death of Edward, Richard III came to the throne by very dubious means; and proved to be an unpopular monarch When Edward IV died on 9 April 1483, his sons King Edward V, aged 12, and Richard, Duke of York, aged 9, were next in line to the throne. 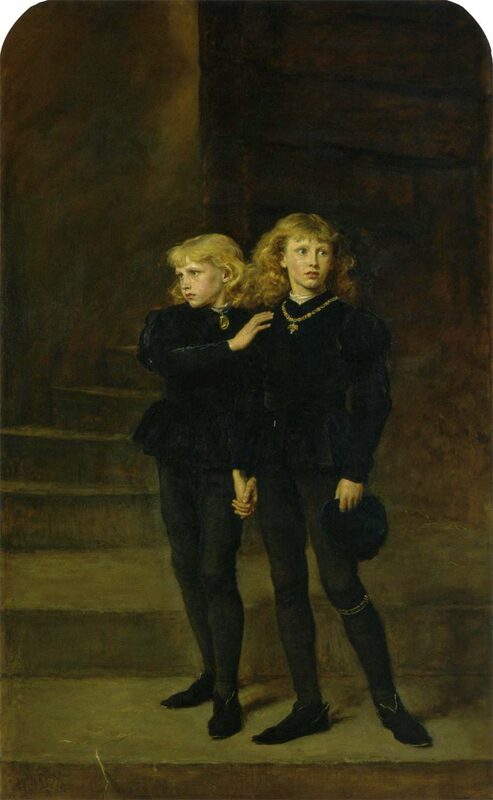 Richard, however, had the king’s guardian and other advisors arrested and taken to Pontefract Castle, where they were later executed, allegedly for planning to assassinate Edward V. Richard then took Edward and his younger brother to the Tower of London, having declared them to be illegitimate. The fate of the boy princes remains unknown however they were never seen again. It is presumed that they either died or were killed there. There is no record of a funeral. In 1674, the skeletons of two children were discovered under the staircase leading to the chapel. These were believed to be the remains of the two princes. Henry waited in Brittany, aware of Richard III’s lack of popular support, and making alliances with France and Scotland, and Lancastrian supporters in England and Wales in preparation for his invasion at Mill Bay in Pembrokeshire – not far from his birthplace. Henry amassed an army of 5,000 soldiers as he marched north from Wales to Bosworth. Richard met him with an army of 8,000, Richard, who was the tallest monarch in English history at 6’4, astride a white courser. 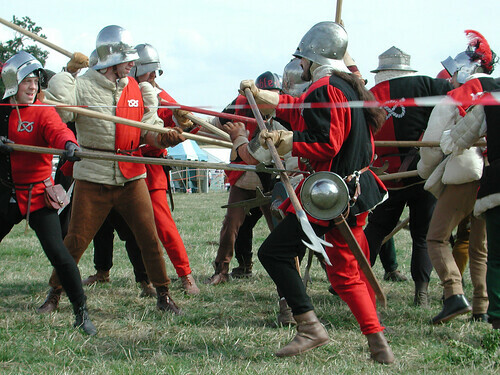 Richard is said to have fought very bravely and ably, however he was deserted by several of his nobles during the battle who switched sides to join Henry. Richard fell, having killed Henry’s standard bearer – and as he was preparing to strike Henry himself. He was surrounded before this could happen, and died as the last king to lead his troops in battle on English soil. Tradition holds that his final words were “treason, treason, treason, treason, treason”. Richard’s naked body was exposed for public view before being buried in Leicestershire.